Summer months can often slow down production as we trade in our desks for a sandy beach, but not at Intercom. Even with a few sunny holidays, we still managed to ship new features that will help you improve your marketing automation, conversations, and more. In honor of the end of summer, grab an umbrella drink and read on to learn about what’s new, including Message Goals, Scheduled Messages, and Inbox Teams and Rules. Historically, tracking return on investment for marketers is tough. You have to rely on proxy metrics like opens and click-through rates, but with no visibility of the metrics that matter. 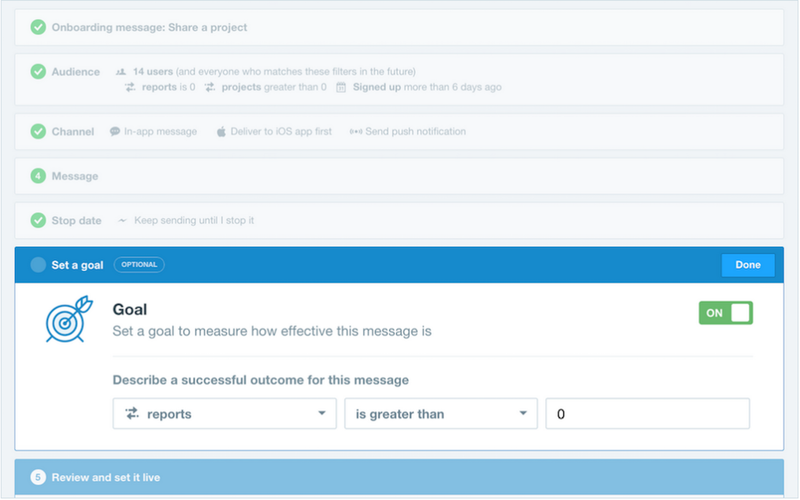 With our new Message Goals feature we are trying to change all that. 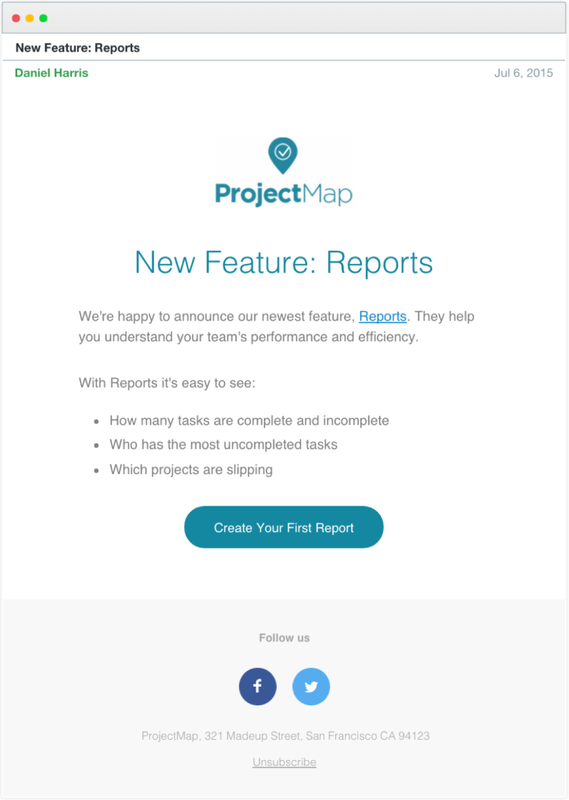 Now you can see things like what percentage of people who received your announcement have used your new feature, upgraded to your pro plan, re-engaged with your product, and more. There are times when you want to send a message to coincide with a big announcement such as a product launch or big company news. 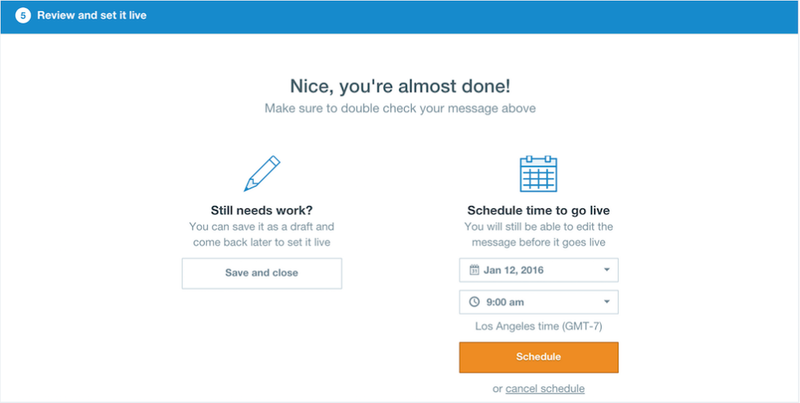 Rather than relying on someone to push send, schedule your message with our Message Scheduling feature, so you can relax knowing your message will go out on time. Messages can also be scheduled using our new Delivery Windows feature, which allows you to set specific windows of time for an automated email to send. Let’s say you only want messages to send during your office hours, or only in the mornings, or everyday except Friday – now you can in one simple step. 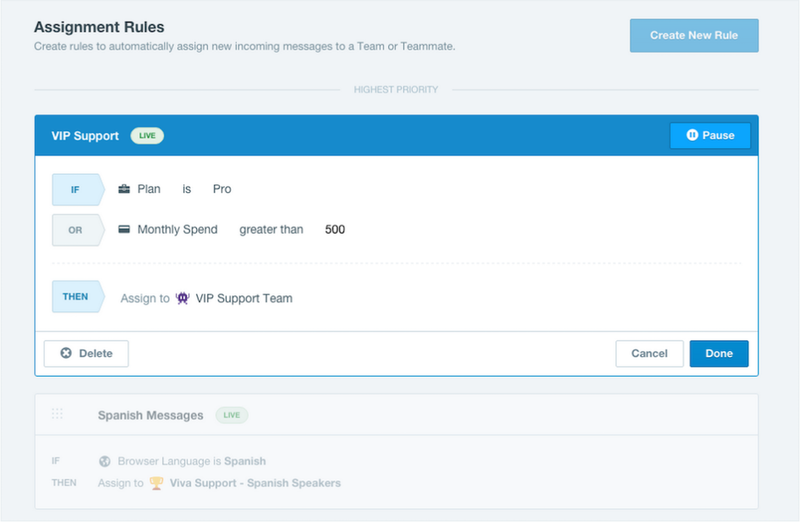 Many of you told us that managing the volume of your auto messages became more difficult as the number of your teams working together inside Intercom increased. We built Folders so you can now group messages of similar types together, like sales, announcements or feedback, and put them in a labeled folder. This will make searching and managing your messages fast and easy. Sifting through your inbox and assigning inbound messages to the right people can be daunting and time consuming – but it doesn’t have to be. 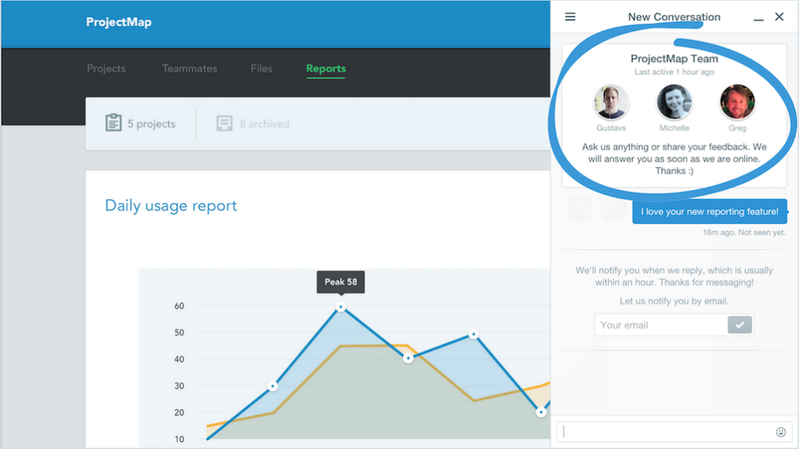 With our latest features you can reduce the noise of your inbox and also save some time. 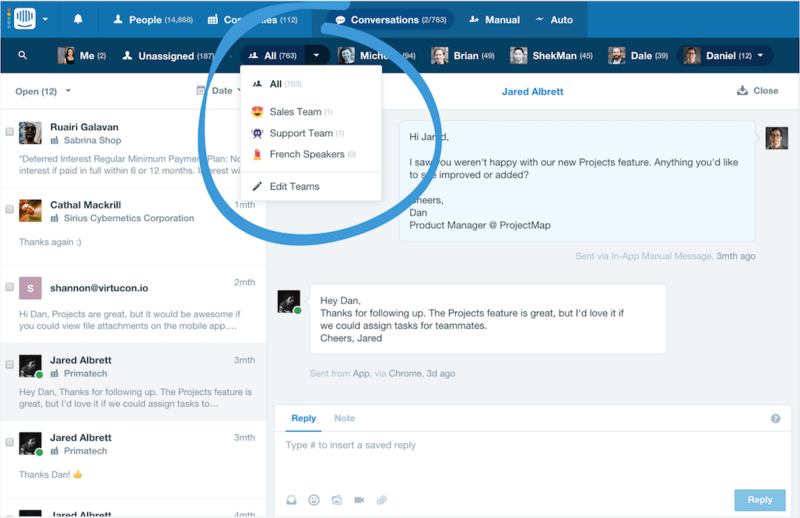 Start with creating teams in Intercom, such as sales, marketing, Spanish speakers, etc, and share one common inbox. 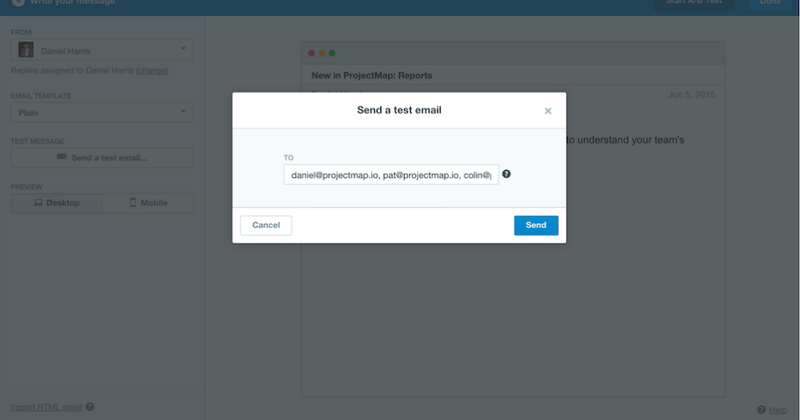 Once you’ve got your teams created, begin using Assignment Rules to automatically direct messages to the right people. For example, any pricing questions can be sent directly to your sales team inbox, or questions in Spanish can go to your Spanish-speaking inbox, and so on. 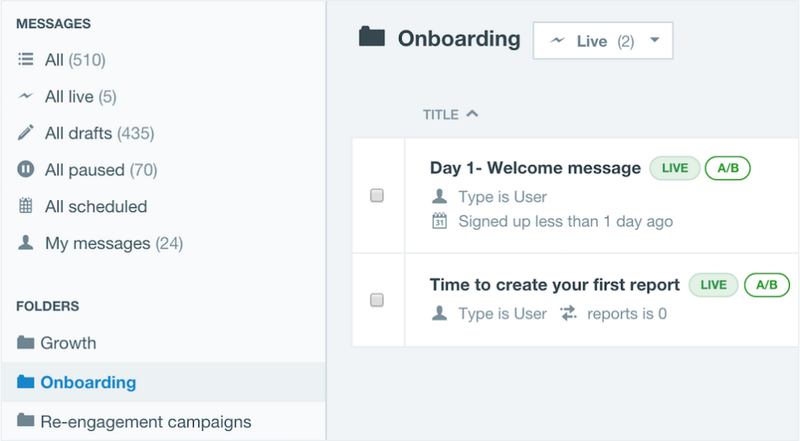 Now you can spend less time assigning messages and more time engaging with your users. Have you found yourself in a situation where you sent out a message and when you reviewed the results – how many people saw, clicked, replied, liked it – you thought, “If only I could message everyone who gave this a thumbs down, and ask them why?” We’re happy to address this by bringing you bulk actions for message results. You can now tag or message specific groups based on the results of a message. Using custom data fields in your email and in-app messages can be scary. Nothing’s worse than sending a message that says “Hi ‘first name’ ”. We now provide a way for you to preview any messages you send, with the custom data fields populated, so you can see exactly what your users will see. Just select “Preview” and all custom fields will be populated with user, contact and company data so you can ensure accuracy and readability. There might be times your team isn’t going to be immediately available to respond to users messages, like on the weekends or during holidays. The new App Profile Card lets users know as soon as they start a new conversation when someone from your team was last active – so in those times you aren’t available there is no expectation for an immediate reply. And conversely, if your team was last seen 15 minutes ago, users can expect a quick reply. We’ve also added names and avatars of the last three most recently active admins from your team, because a friendly face is never a bad thing. When someone strikes up a conversation with your team, there’s no better way to greet them than a welcoming message letting them know you care to hear what they have to say. You can now customize your welcome message in your App Setting to give these your own personal touch. Have a product or feature announcement coming up or some company news you want to share? We have two new email templates that will come in handy for just those occasions. The best part: they make it easy to include your branding and social links. To help recipients of your emails recognize who you are, emails sent via Intercom will now show your first name along with your company’s name in the ‘From’ field. 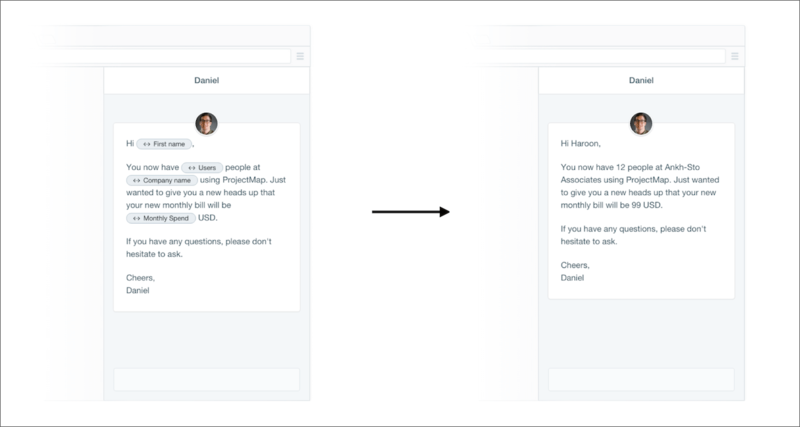 This change maintains the personal aspect of Intercom’s emails, while adding clarity around who the email is from. 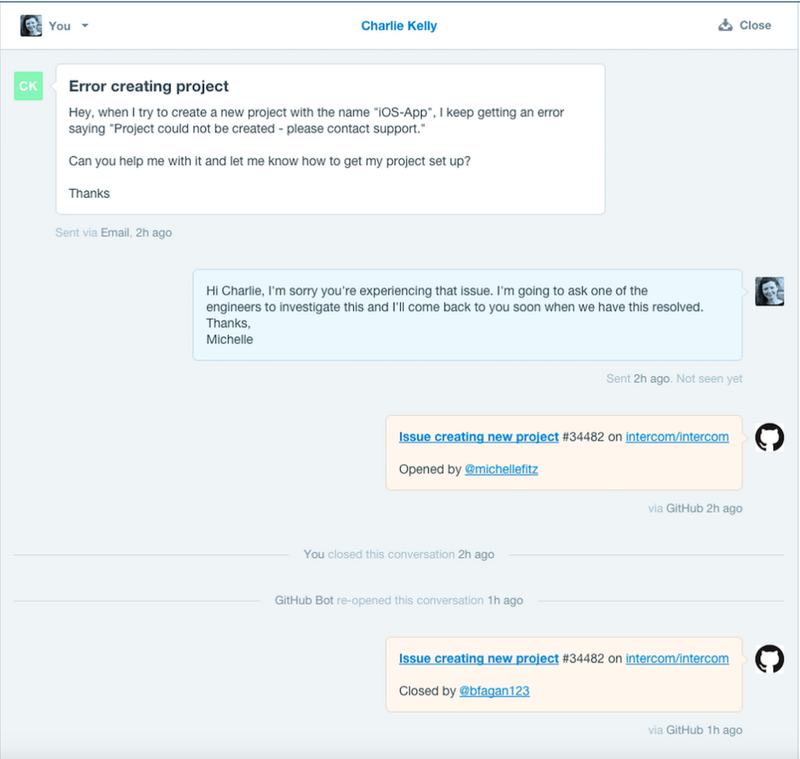 We now integrate with Github, which will help you keep your Intercom conversations and Github issues in sync. 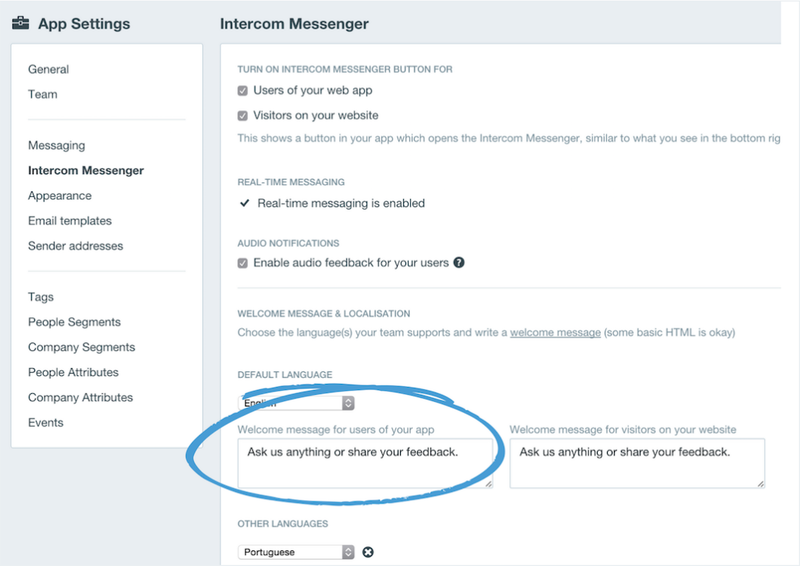 The best part of this integration is when issues are closed in Github the conversation in Intercom will reopen, prompting you to let the user know about the resolution. Seamless integrations for the win. That’s all for now. As the cold and rainy months approach in our part of the world, we plan to stay indoors with our heads down working on new features to ship your direction. Until next time, feel free to ask questions in the comments below, send us a message in Intercom or straight from this page via the Intercom Messenger.